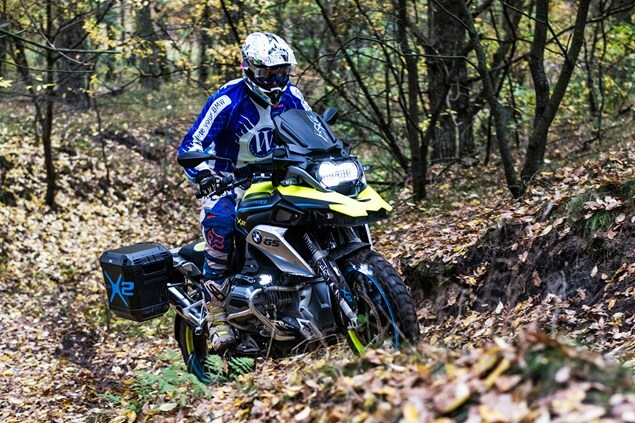 GERMAN firm Wunderlich has developed what it says is the first two-wheel drive liquid-cooled BMW R1200GS by adding an 'electrical front-wheel gearbox' to the latest version of the adventure bike. The BMW accessory specialist says the system produces 10 kilowatts (13.6hp) of front-wheel drive which gives the bike 'more propulsion on the ground and also draws the GS through curves on the road more quickly'. 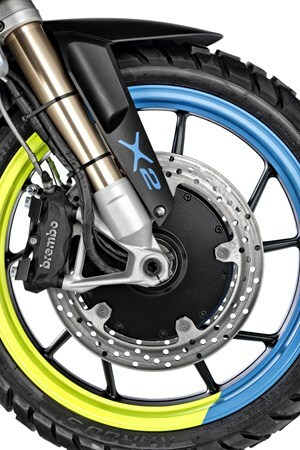 Energy produced while braking is used to recharge a battery and the front wheel is able to pull the bike at up to 12.5mph even with the engine turned off. It can help with low-speed manoeuvres and provides reverse drive at up to 2mph. Wunderlich says it's a concept 'for now' - but it's hard to see why the firm would go to the lengths of developing it without some intention to sell it.